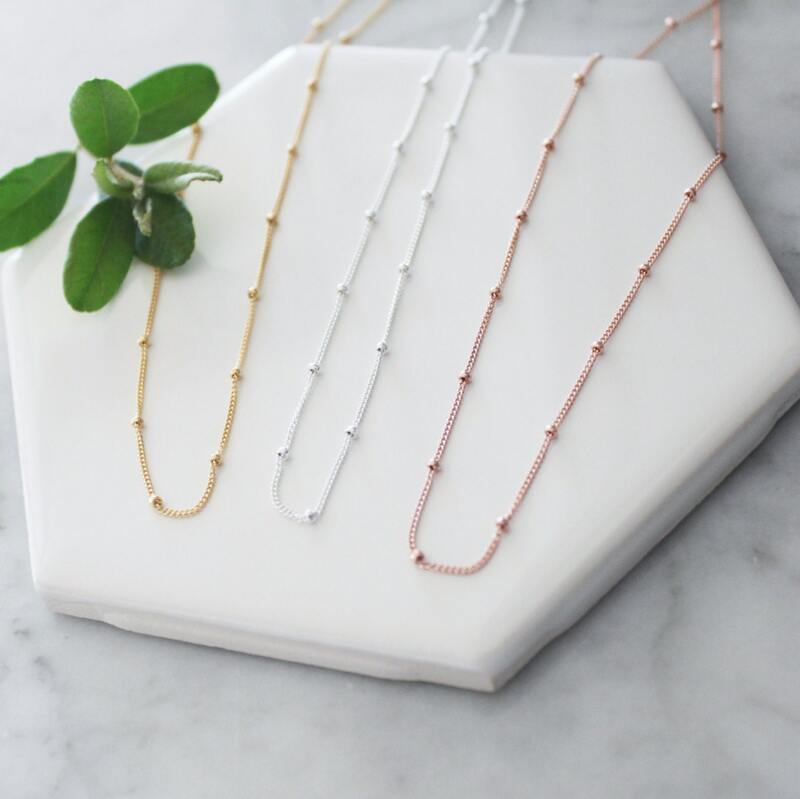 This dainty necklace will add a little sparkle to your everyday! 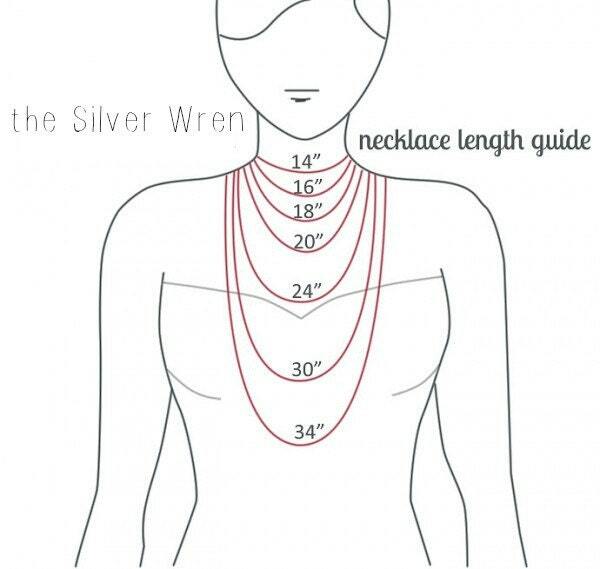 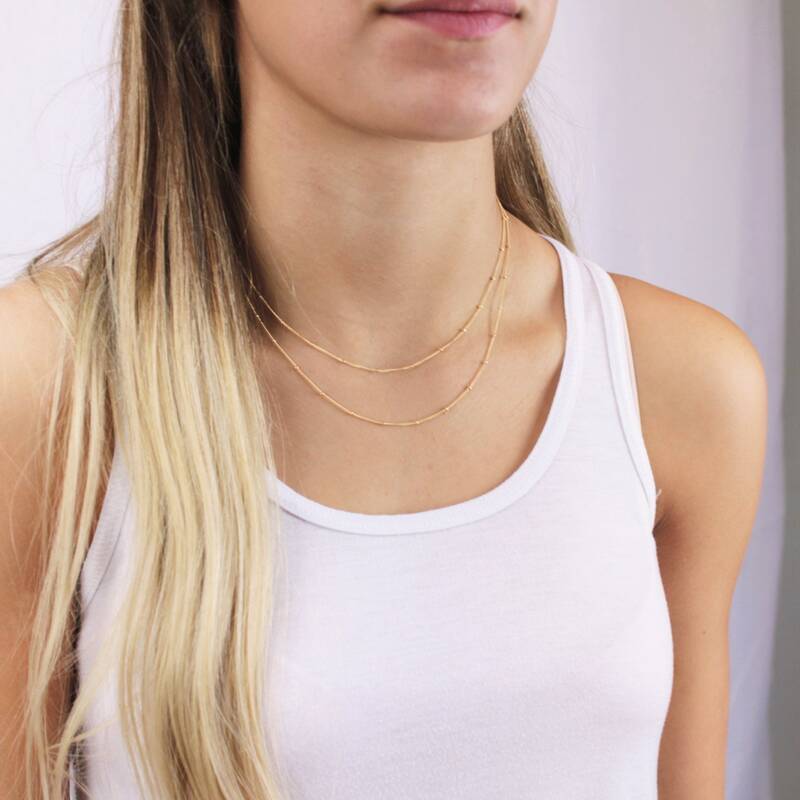 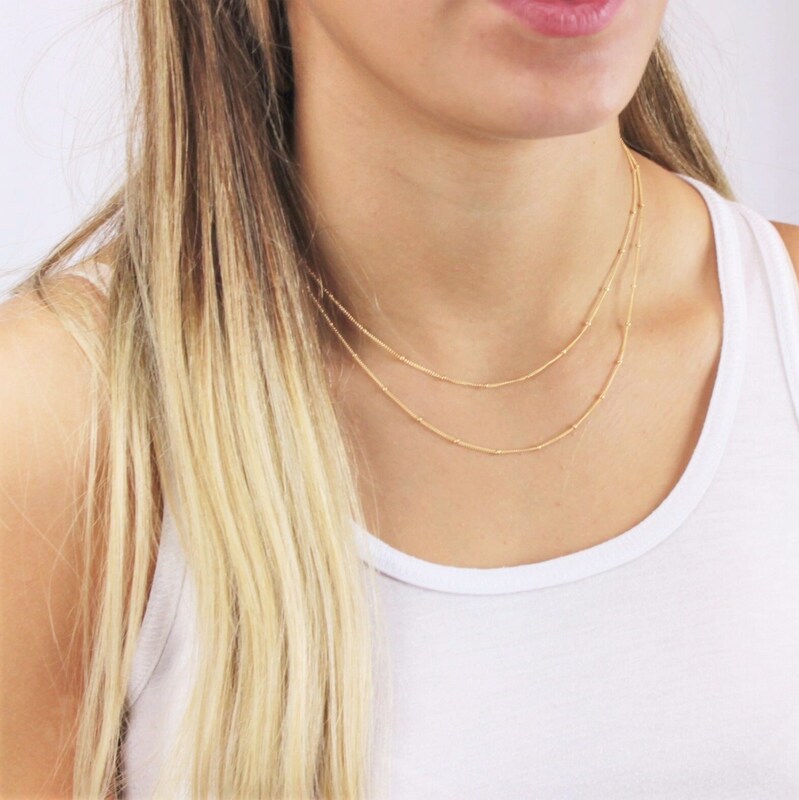 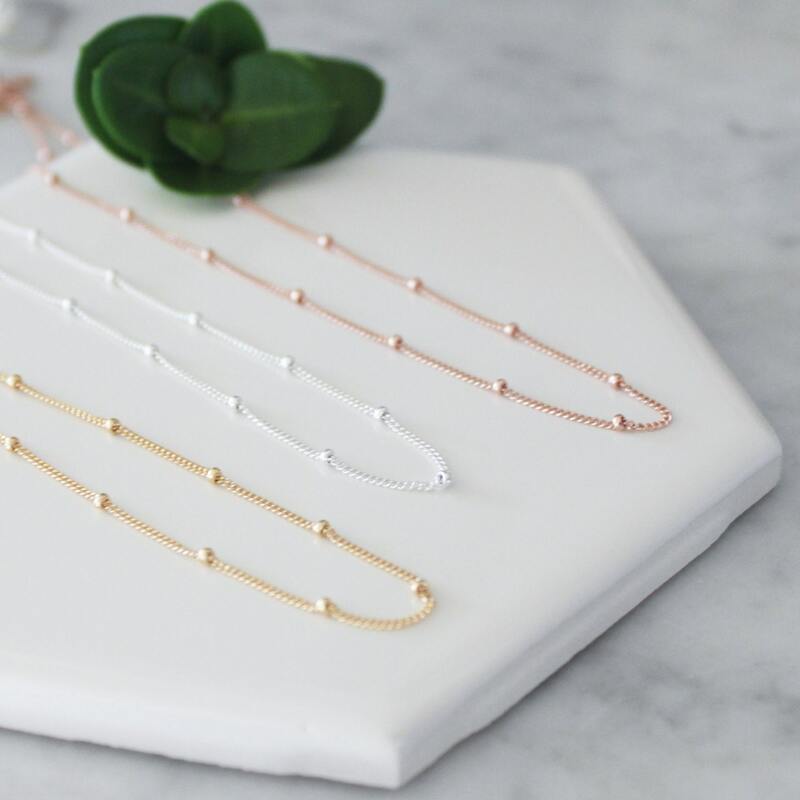 Our satellite necklace is perfect for layering or to wear alone long. 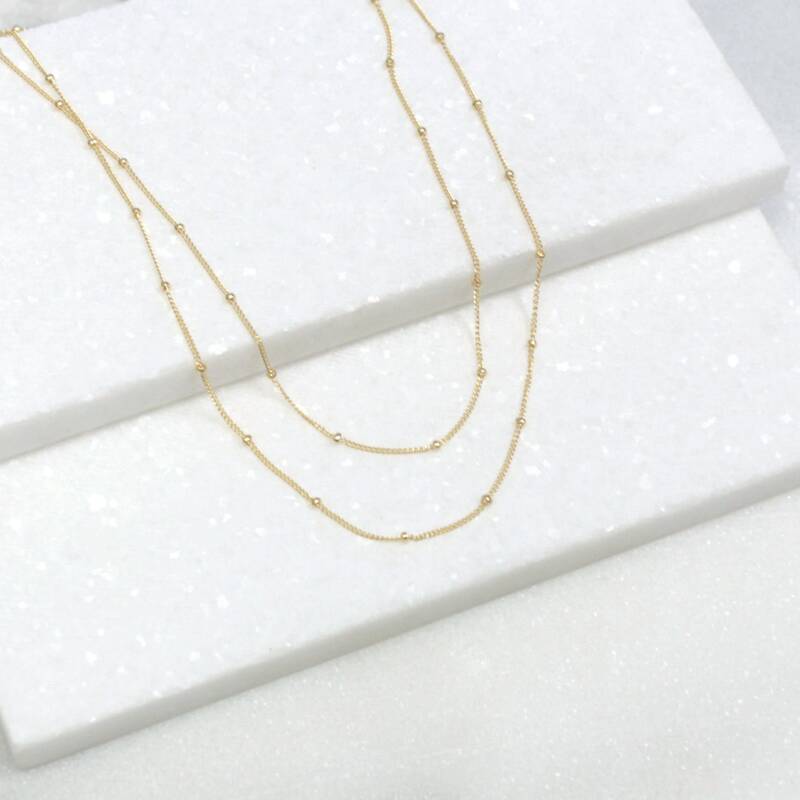 This beautiful chain comes in your choice of 14kt gold filled, rose gold filled or sterling silver.